Truth be known, I just wrote a book about a dog I love, but before Buddy, I was never really a dog lover and never imagined I’d be one when I was growing up. Not My Buddy is Available Now! 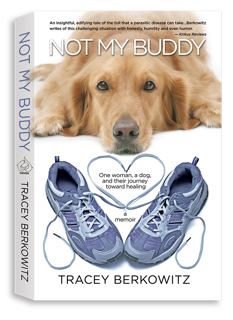 Not My Buddy is a whodunit medical mystery and a love story between one woman and the dog who restores her spirit while she fights her way back to health.